For a casual day stuffing your face with milk and cookies. A day to swap stories and recipes. A day full of smiles and enjoying life like a kid again. Download the Cookie Bake Off Cicle Invites. 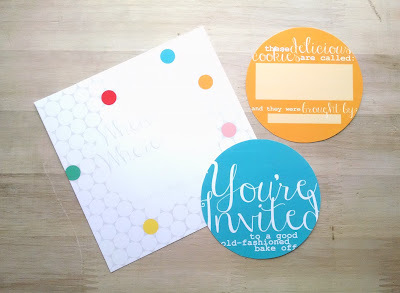 Download the Plain Circle Invites.